This is guilt-free wrestling. I bet this goes on first, just to give every-one a great fight to start the night. I can’t see this as being a failure. Prepare for fast action with lots of mat work in the match’s first act. 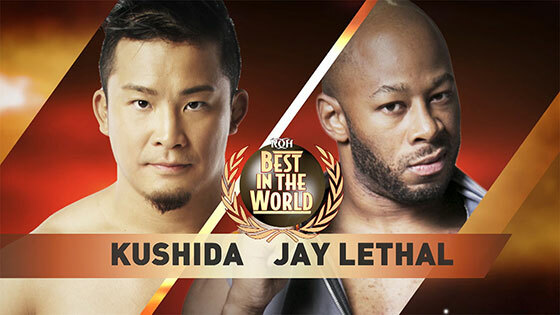 I’m going with Lethal for the win to further the redemption angle for the former World Heavyweight Champion. 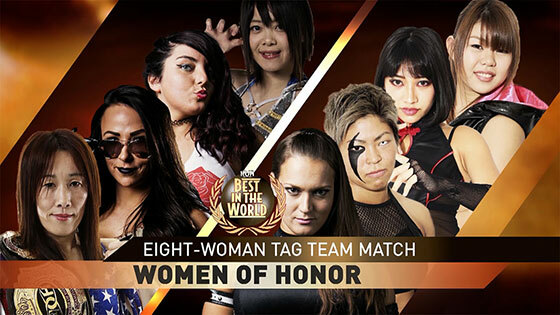 This will be a quick, fun match that gives lots of women a chance to show Vince McMahon that women can do more than be the sexuality segment for Monday Night RAW. Sumie and her team will win. Ray will win a good brawl that leads to Flip chasing Ray for respect. This match was re-branded as the Television Title match after Punishment won the strap from Young at a house show last weekend. This should be a No Holds Barred Match, if the press release is adhered to. This match, in any form, holds lots of promise. Punishment will retain his title. Austin Aries and Kenny King put their friendship aside when the two meet for the first time one-on-one in Ring of Honor! 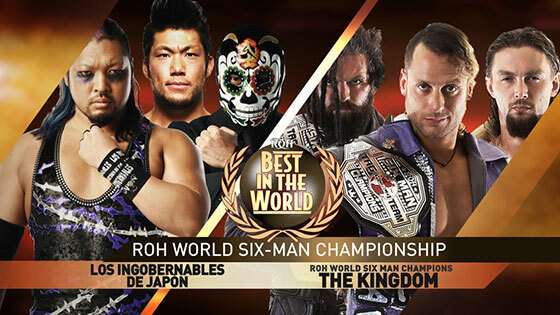 Aries, clearly frustrated after missing out on what appeared to be a ROH World Television Championship win, blames King for interfering and now the two will meet at Best in the World! 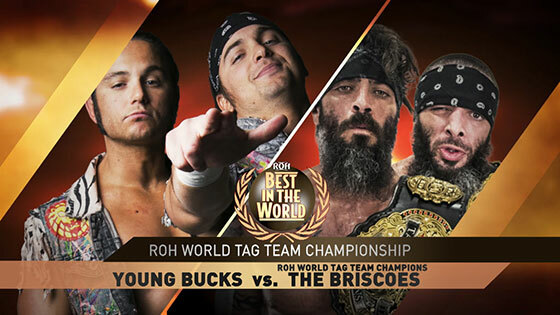 This should be an absolute thrill ride that sees the champions retain. This could be the match of the show. I expect this to be one of, if not the, best match between these two teams we will ever see. I say the Bucks get the straps here, but it could go the either way, simply because both teams are so strong right now. This also has the potential to steal the show. I expect this to be a match that embraces little character moments as much as action. I think Marty steals the title here and creates a rift between Cody and Marty, which should build towards a big grudge/title fight between the two of them. What do you guys think? Agree or disagree with my predictions? 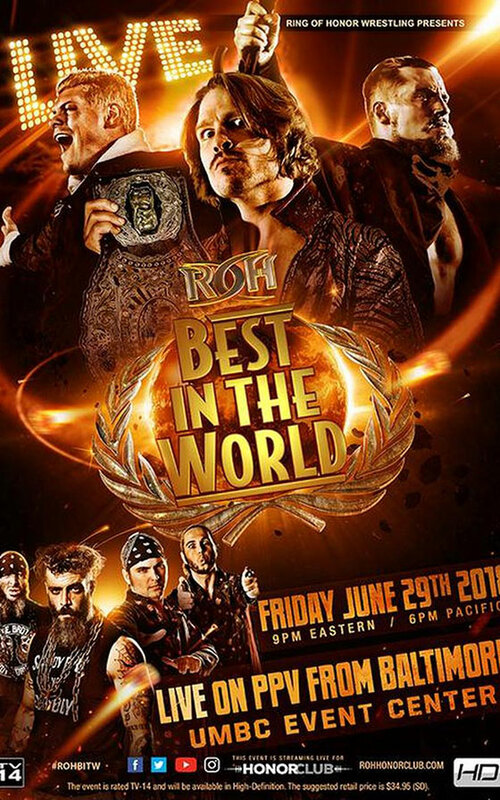 Either way I’ll be back this weekend to review ROH Best in the World 2018 and let you know what happened.